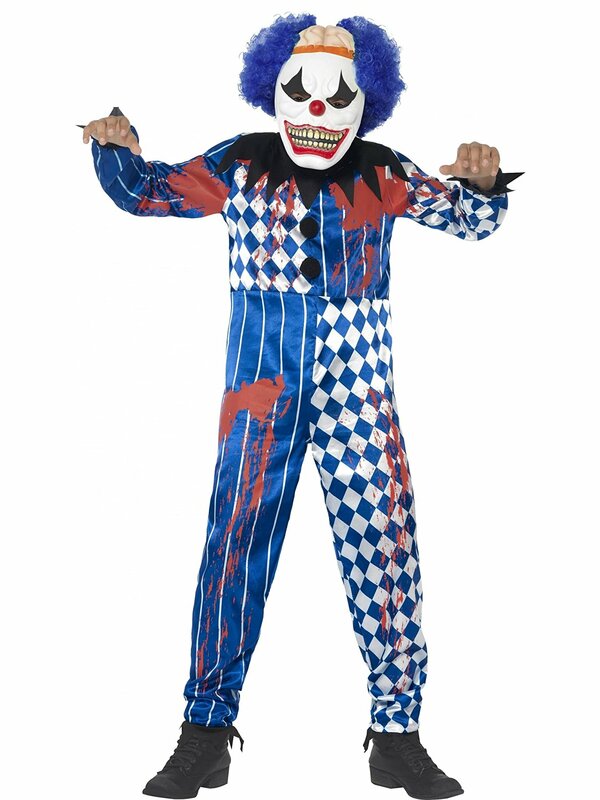 A scary and sinister clown costume, which includes a jumpsuit and EVA mask with attached brain and hair. Large 10-12 years. 145cm-158cm height. Tween 12 years+. 152cm-163cm height.